Energy and joy flood my body cells! Joy descends to me! 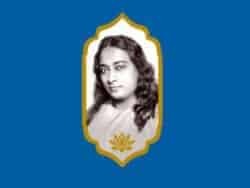 My previous blog, ‘Ananda Yoga and Personal Growth,’ is an expression of my journey, impression, and understanding of Yoga in my mind’s eye, and how at Ananda Sangha different aspects of Yoga were beautifully unfolded to me through the techniques, teachings and writings of my Guru Paramhansa Yogananda and his disciple Swami Kriyananda. With immense calmness experienced at the center of life’s storm as I stood serene, the fire of learning Ananda Yoga ignited in me a desire to help others find peace and joy, to feel energetic and positive through their practice; others who might be unaware of the life enriching experience they will gain from it. Just as Master says that the channel is healed when healing others, learning Ananda Yoga deepened my personal understanding of the science behind yoga and gradually cleared my energy blocks and apprehension towards it. And when I made a strong determination to learn Ananda Yoga, all my bodily ailments and other factors detrimental to my learning slowly began to dissolve and disappeared. Nothing on earth could hold me! Working at every level of our being, physical, mental and emotional, Ananda Yoga not only detoxes all of our body, but also helps to heal it and prevent it from degeneration. My intellectual self would always seek for the logic and science behind every asana and how it could benefit me at a physical and spiritual level. All my questions were resolved with ease when I started my journey. Three aspects of Ananda Yoga inspired me the most to learn and make yoga into a way of my life. 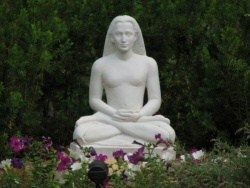 The philosophy of Ananda Yoga, “Holding the posture or getting it accurate is not as important as it is to connect inwardly through the asana.” Ananda Yoga emphasizes the union of body, mind and emotions through its practice. It helps to detox the mind and body by being mindful of the postures, not only at the physical level, but at the mental and emotional levels too. Slow rhythmic approach while entering and exiting an asana. 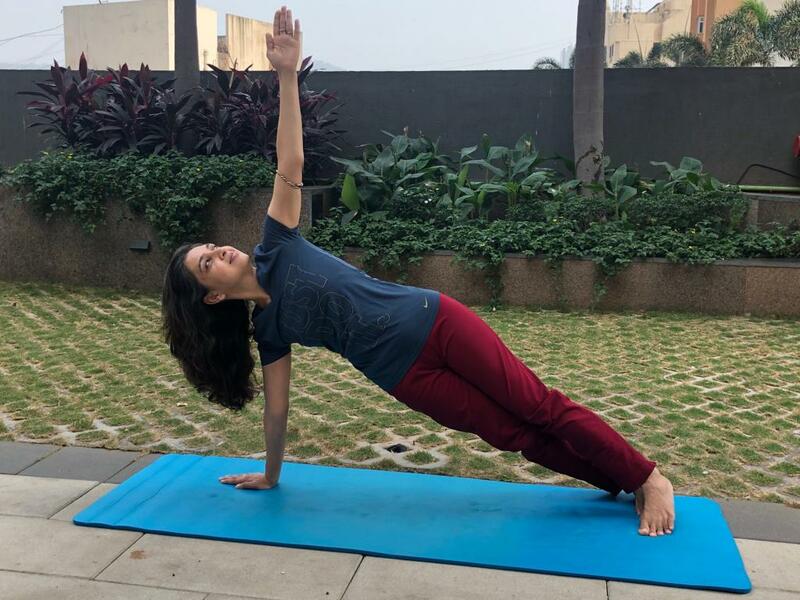 Pauses and gradual movements helped me understand and connect with every fiber of my being and enjoy the asana. Affirmations that are associated with every asana not only helped me connect with my positive energy, but also prevented my mind from wandering into the valley of thoughts and getting distracted. A surge of energy is experienced each time I affirm when holding the posture at a deep physical level. Affirmations work at multiple levels of our conscious and subconscious being, which help rejuvenate and heal us. It improves our memory cells too. Yoga is a form of art and science. I believe it helps rejuvenate and rebuild our bone cells, muscles, tissues, and Musculoskeletal System at a physical level. At a mental level, it revitalizes our nervous system by recharging the blood cells and nerve battery, essential to carrying signals from the brain to several parts of the body. Recharging our endocrinal glands for emotional balance and harmony within us, Ananda Yoga helps restore peace and harmony to our core self. These 3 pillars are held strong and are reinforced by an affirmation magnetized for every asana. 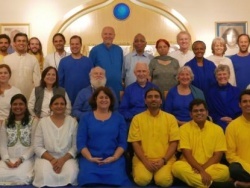 This is unique to Ananda Yoga; it makes us aware and connects us to our body, mind and spirit, understanding and assimilating the real meaning of yoga – union of body, mind and soul. 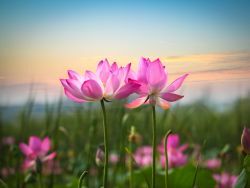 Within the several unique approaches at Ananda Yoga, what intrigued me the most were the affirmations associated with every asana. As my learning and knowledge deepened, I was able to understand how and why asanas are magnetized with specific affirmations. Affirmations work like a magic wand on every part of the body, the endocrinal glands and the spinal center along with the asanas/posture held. Every asana has helped me recharge and detox my body on multiple levels. Below, I will share my experience with a few of them and how my learning was accelerated at Ananda Yoga. With calm faith I open to Thy light. A sense of strength in the spine and connection with its energies is experienced while gradually entering in Ustrasana, also known as Camel Pose. At the physical level, this asana helps maintain the body alignment, it opens the chest and shoulders, gradually increasing the endurance and ability to hold the asana for longer duration. 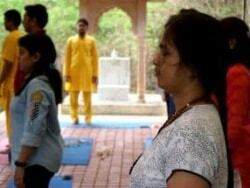 Ustrasana helps me restore my focus and concentration. 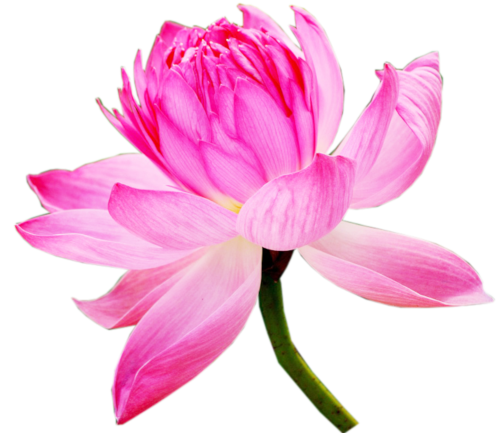 At the subtle level, the heart chakra gets balanced as the chest opens through a backward bend balancing all emotions governed by the endocrinal gland situated in the throat region and heart center. The heart is the receiving station of intuition, guidance and love. 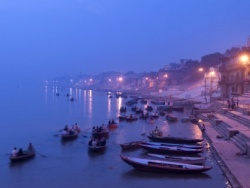 With the openness of the spine experienced in this posture, and mentally affirming, “With calm faith I open to thy light,” I am able to connect with the bhav of the asana, surrendering all my worries and apprehensions with faith in God. With a command of positive thought, the affirmation also helps rewiring my thoughts at the conscious and subconscious levels. 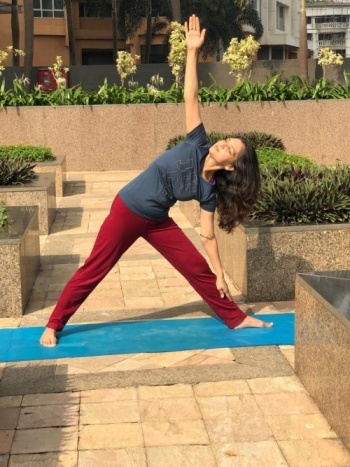 Yoga and affirmation helped me surrender to the divine and transcend all limitations, connecting with peace and happiness within myself. The calm fire of my concentration burns all restlessness, all distraction. Entering into Vasisthasana, my entire body is energized from the toes to the crown of the head with a deep wave of calmness within. The vasishtha of this asana is that it strengthens the spine and core muscles. Holding the posture has not only helped build my core abdominal strength, but has facilitated in activating the Manipur chakra, whose element is fire. Core fire, when channelized appropriately, vitalizes the entire body, burning away all laziness, distraction and restlessness. On low energy days, or days when I seek clarity, Vasisthasana asana not only energizes me, but has helped me restore my focus and alertness, dissolving all restlessness and distraction true to its affirmation– The calm fire of my concentration burns all restlessness, all distraction. Ananda School of Yoga is a gentle, calm step to interiorizing and deepening the practice of meditation, cleansing the body and mind off all accumulated toxins, through invigorating experiences at various levels, healing us for a happy and enriching life. Thank you for sharing Preeti. 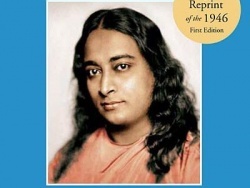 It inspires me and it will inspire many other souls to try Ananda Yoga, or deepen their practice! 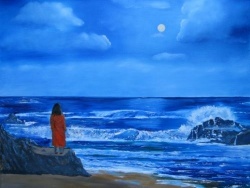 Beautiful capture of the essence and potential of Ananda Yoga. Thank you Preeti! What an elaborate way to express your deep experience of Ananda Yoga. You’ve truly touched each and every aspect of the asaan. It’s really inspiring and refreshing!